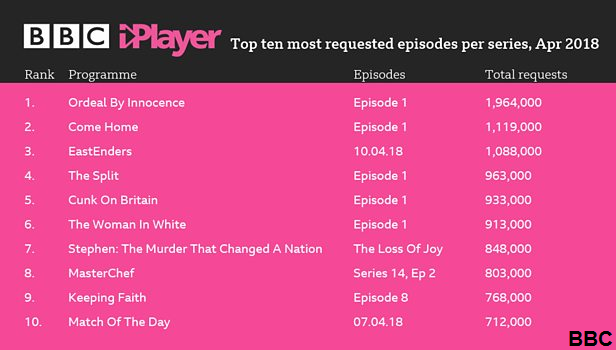 Agatha Christie murder mystery Ordeal By Innocence became the top iPlayer programme of April. 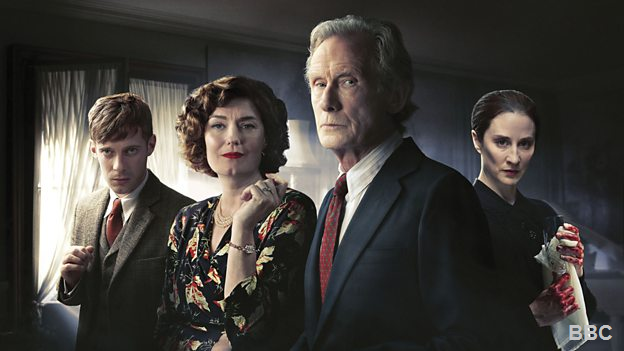 Episode one of the three-part thriller, which starred Bill Nighy and Anna Chancellor, had almost 2 million requests. It was closely followed by the second episode, with 1.2 million requests. While the service didn't report any records in its latest figures, covering the month of April, the BBC iPlayer saw 277 million requests across the month, and 9.2 million daily requests, up on the same month last year. Top non-drama of the month was mockumentary series Cunk on Britain, which followed Philomena Cunk taking viewers on a journey through British history.